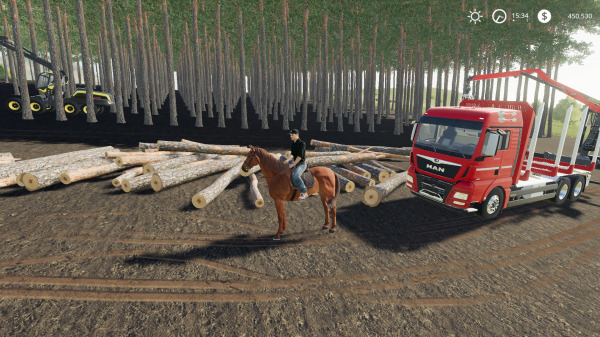 Description: I use a hired worker on the tree planter. He decided that a one meter spacing between the rows of trees was okay . If you ever get hired worker E on the payroll, you might want to make sure that he is properly supervised. I think I've had this guy work for me too.